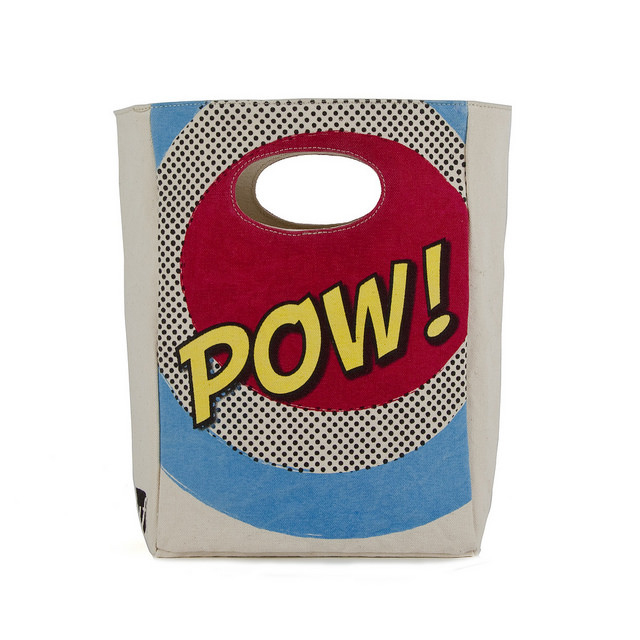 Fluf Organic Lunch Bag - Pow! Eco-friendly organic Fluf lunch bag. 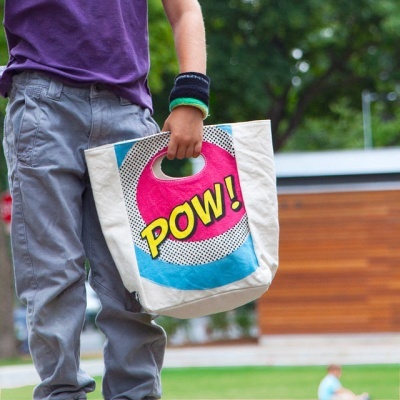 Great for lunch on the go, picnics, travel and shopping. The print is the same on both sides. 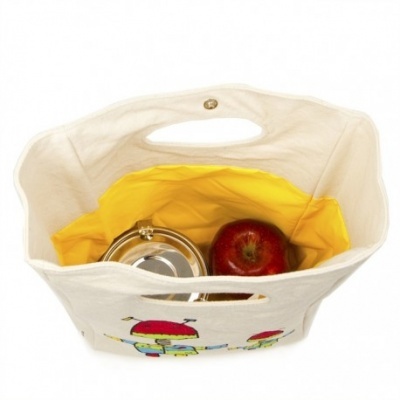 Reusable lunch bag made from a double layer of thick, organic cotton with a yellow, water resistant, food safe polyester lining and magnetic snap closure. Space inside to personalise with child's name. - Durable and roomy. Ample space for kids and grown ups alike. - Easy to keep clean, functional, durable and - above all - healthy and safe! Care: Machine wash warm, gentle cycle. Air dry.